As Christmas Eve is soon approaching, both packaged ‘kūčiukai’ (Note: very small, slightly sweet pastries) and ‘kūčiukai’ in bulk find themselves in the buyers’ shopping carts more and more often. Traders count that as much as up to 150 tons of ‘kūčiukai’ are bought before the holidays. 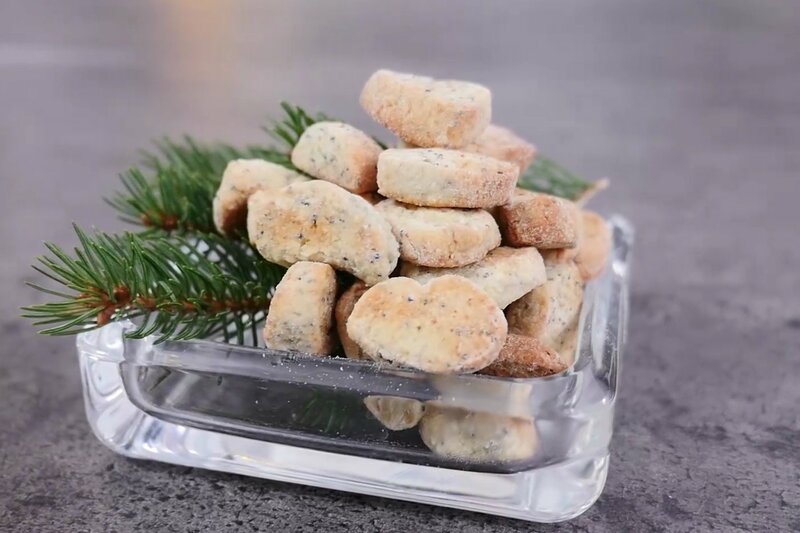 These baked goods are found on the festive table not only in different places in Lithuania, but also in other countries, where there are people who cherish Lithuanian traditions. Researchers of Lithuanian customs claim that the tradition of eating ‘kūčiukai’ symbolised the relationship between the man and the bread. In the past, ‘kūčiukai’ were as big as the size of a palm. What kind of ‘kūčiukai’ do Lithuanians prefer today? Dalia Urbanavičienė, the Chairwoman of the Council for the Safeguarding of Ethnic Culture, says that the recipes of 'kūčiukai', which are also called 'sližikai', 'šližikai', 'skrebučiai', 'prėskučiai' ir 'kleckai', are very diverse. The researcher of Lithuanian customs notes that in the 17th century, famous ethnographer and historian Matas Pretorijus, who described the region's traditions, noticed that, before the longest night of the year, people in Lithuania bake small, palm-sized bread patties – each member of the family gets one patty at the festive table. "It is evident that kūčiukai, as a symbol of bread, life and yield, have been in existence for several centuries, and are therefore found in the territories that once belonged to the Grand Duchy of Lithuania. In the long run, only the shape of 'kūčiukai' has changed: they have become smaller, but more numerous and are now baked not for every family member in person, but for everyone at once, so that 'kūčiukai' can be shared and presented to guests as if they were yield", says Urbanavičienė. According to her, every region, every village, and even every housewife may have her own special recipe: some bake them with yeast, others – without yeast, some pour poppy in the batter, while others don't. Ethnologists also recorded that in Suvalkija 'kūčiukai' are slightly bigger than the ones baked in Žemaitija ('Lowland') and Aukštaitija ('Highland'). The tradition of baking 'kūčiukai' at home has survived in Lithuania to this day. However, a large part of the population buys them in shops. According to Vilma Drulienė, the Commercial Director of the 'Maxima' trade network, sales data of several years show that Lithuanians usually prefer and value soft 'kūčiukai'. "During the holiday period, the most popular buyers' choice is soft 'kūčiukai'. Nearly 170 thousand packs of these pastries were sold in December last year. Although the range is expanding with new products every year, it can be predicted that this year, soft 'kūčiukai' will remain the most popular ones and will account for about one-third of all packaged baked goods sold", confirms V. Drulienė. According to her, trade data of recent years show that the demand for 'kūčiukai' starts growing significantly starting from 15th of December, and reaches its peak on the 23rd of December. "According to our data, when preparing for celebrations, clients buy approximately 530 to 580 thousand packs of 'kūčiukai' and about 150 tons of 'kūčiukai' in bulk every year. Health-oriented trends also include products of this category. In addition to traditional flavours, buyers also choose 'kūčiukai' with linseeds made from whole-grain flour, as well as ecological ones", says Drulienė. D. Urbanavičienė, the Chairwoman of the Council for the Safeguarding of Ethnic Culture, says that the tradition of eating 'kūčiukai' symbolises the relationship between the man and the bread. "By holding bread in their hands, the ancient people welcome the return of the sun, the new cycle of nature, lengthening days, and the promise of a new life. Therefore, as a matter of course, we still remember the magic spells of the Christmas Eve that are related to finding of one's second half, matchmaker waiting and wedding, because such spells were most popular", says D. Urbanavičienė, PhD in Humanities. She states that the future can be revealed by a handful of 'kūčiukai' drawn from a bowl without looking: if their number is even, there will be a couple, and if it's odd, then loneliness awaits. Typically, 'kūčiukai' are served alone or with poppy milk (Lith. 'aguonpienis'). 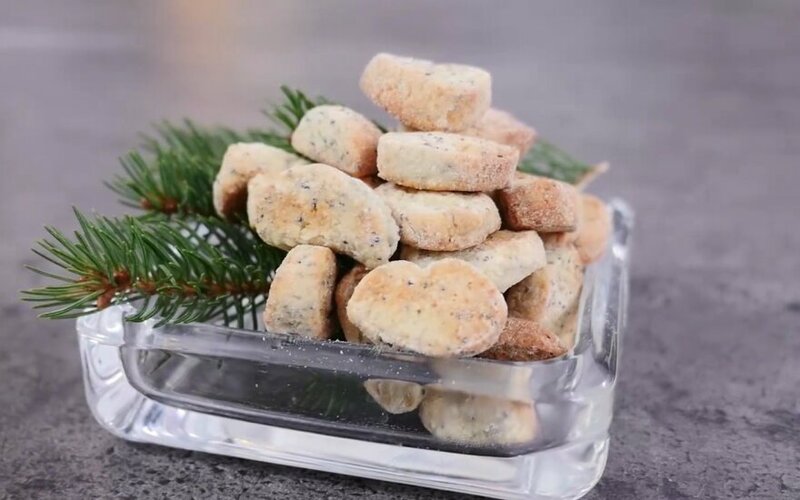 In the Lithuanian retail chain 'Maxima', buyers can find 'kūčiukai' of different levels of softness, taste and appearance; the same 'kūčiukai' that, since ancient times, have been the symbol of welcoming Christmas Eve and Christmas. The strengths of the traditional Lithuanian retail chain 'Maxima' are low prices and a wide choice of Lithuanian goods in particular. The managing company 'Maxima LT' is the largest Lithuanian capital company, as well as one of the largest taxpayers that also provides the highest number of job places in the country. Currently, there are nearly two hundred and fifty 'Maxima' shops operating in Lithuania with about 15 thousand employees. More than 550 thousand buyers visits it daily.